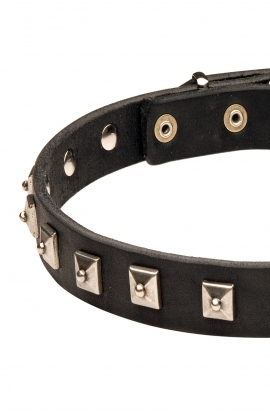 Search "1 inch wide collar" 41 results have been found. 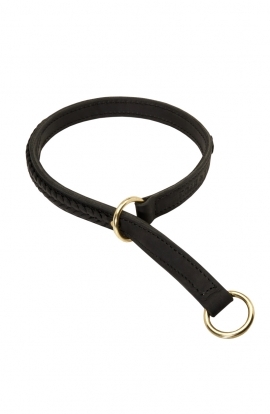 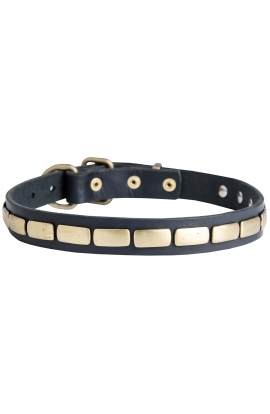 Decorated with brass plates, this dog collar is carefully handcrafted of strong but supple leather. 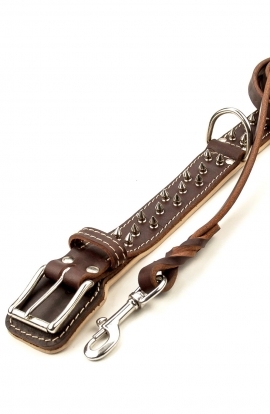 Its beauty is truly classic and timeless. 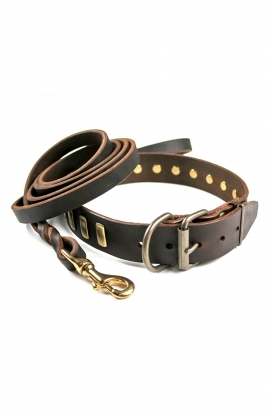 This item features classic buckle and D-ring made of sturdy rust resistant brass. 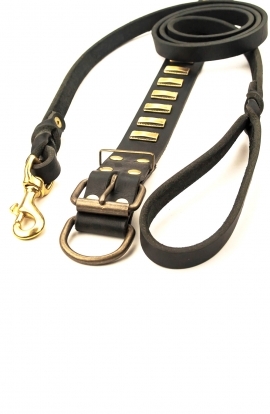 Built to last, ideal for daily use and training. 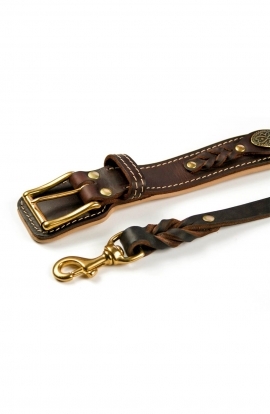 Every detail of this collar is handmade with diligence and care to your pet. 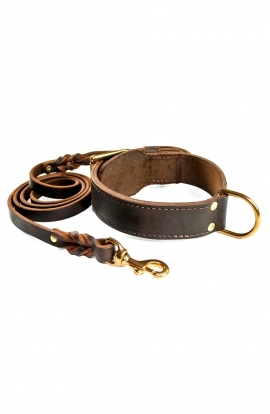 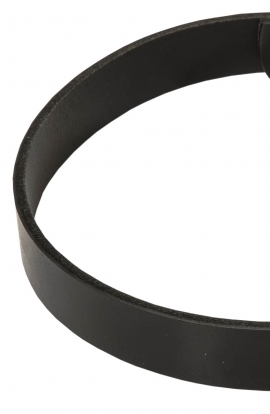 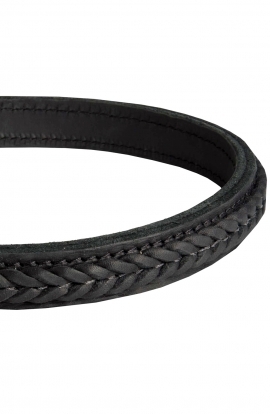 Leather strap 1 inch wide has been specially treated, oiled and hand polished to be smooth and soft. 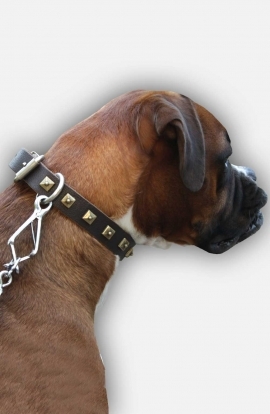 The hardware is of the best quality - extra durable rust-free brass. 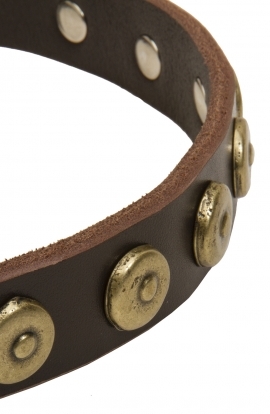 There is also many brass circles with dots in the middle which serve as rich adornment. 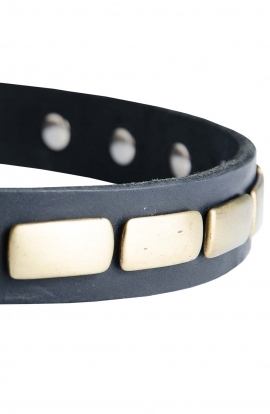 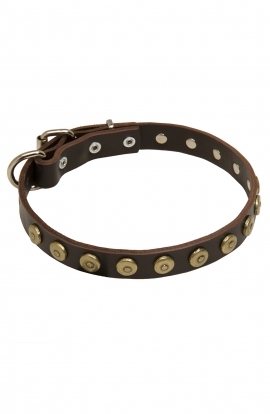 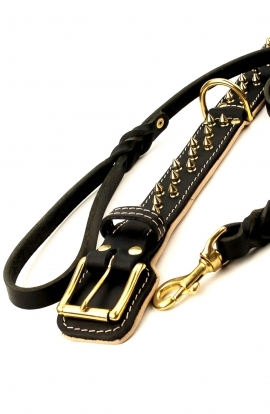 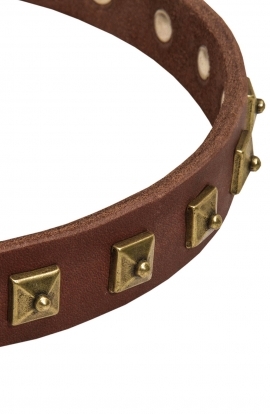 This Leather Boxer Collar is decorated with one row of brass studs. 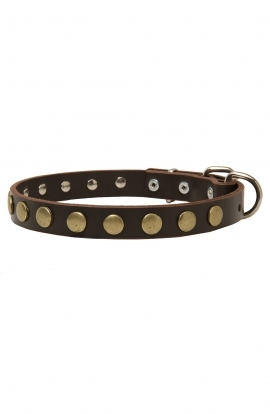 Each stud is reliably hand set with rivet and won't fall out for years. 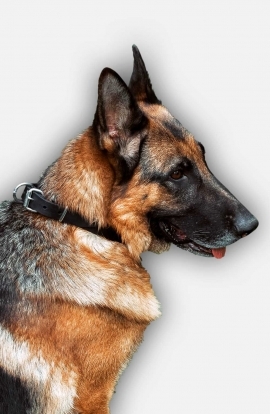 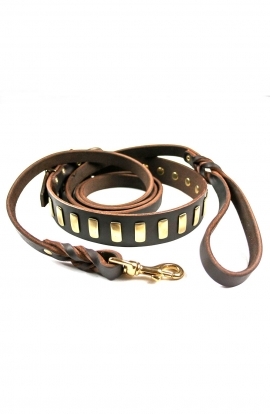 This Fantastic Leather Collar is available in three colors - black, brown and tan, so you may easily choose any of them, according to your preference and dog's color. 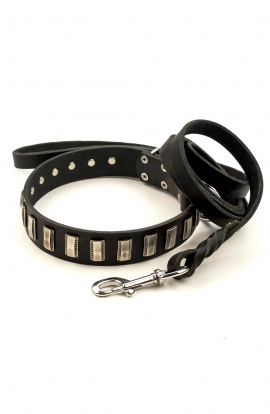 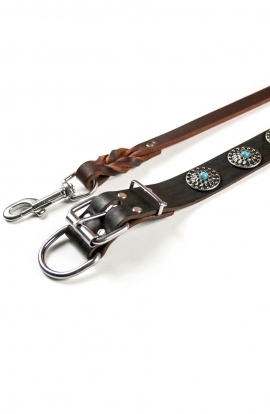 Don’t miss a chance to buy this Designer Leather Husky Collar at an available price! 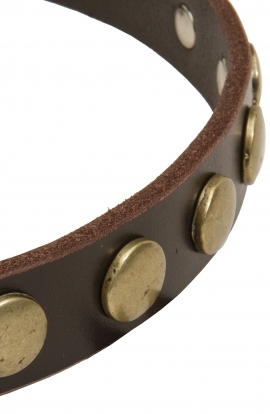 This collar is decorated with old brass studs, that make it awesome. 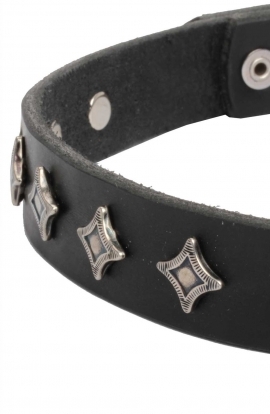 Studs are riveted, so they won’t fall off. 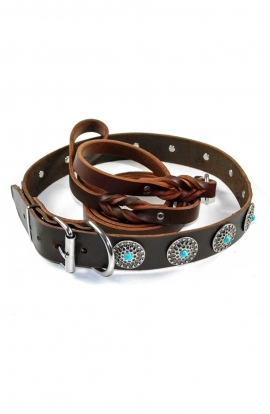 You are also offered to choose three colors. 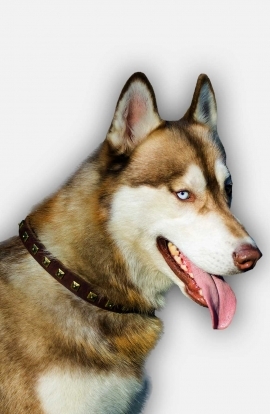 You can buy black, brown or tan collar, according to the fur’s color of your Siberian Husky.